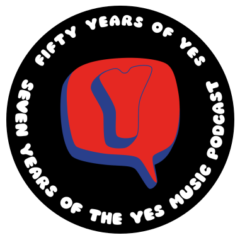 The eighty-ninth episode of the Yes Music Podcast, featuring some interesting facts about Talk which I didn’t mention in Episode 15. Listen and see if you agree with me about this album, then let me know by contacting me via any of the different routes on the right hand side or by leaving a comment below! Is this Rabin at his best? Who was responsible for the writing on the album? What was special about the recording of Talk? If you are still listening to the podcast on the website, please consider subscribing so you don’t risk missing anything. You can subscribe with an RSS reader, with iTunes, with the iOS Podcasts app, on your Blackberry, via email updates or via www.stitcher.com. Wibisono Dharmawan’s YouTube Channel Jon Davison’s Q&A Cream’s farewell gig, featuring Yes as support – Wikipedia article Talk Wikipedia article Yes Active CD-ROM video footage on YouTube Yes Wikia article on the Yes Active CD-ROM Yestival details Rock and Roll Fantasy Camp with Yes Sign the e-petition to release the lost Yes tapes!